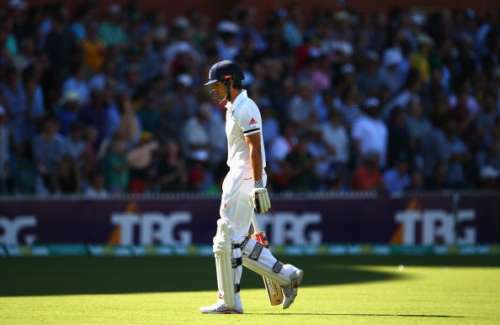 Alastair Cook has stepped down as captain of the England Test team after more than four years at the helm. He took over the captaincy from Andrew Strauss back in 2012 and has gone on to become one of the greatest captains for England. Numbers don’t lie; with 24 Test wins, which is the second most by any English captain (Only behind Michael Vaughan’s 26), Cook surely deserves a seat with the greats. Without a doubt, Cook is one of the greatest Test batsmen England has produced. He is the most prolific run-getter in England’s history, has the most number of Test caps, their most successful captain, and he still has a few years in the tank. His career as captain has had many highs and a few lows. He had his moments; England reached the top of the rankings, and there were the Ashes wins of 2013 and 2015, beating India at home 2-1 after 28 years in 2012 were among the highlights of Cook’s reign. But this English side also saw a 5-0 Ashes whitewash in 2014. 2016 hasn’t been the best of years for Cook and England, with a drawn series at home against Pakistan, a drawn series against Bangladesh and the final punch, a 4-0 drubbing by India. Cook comes from a traditional English cricketing school of thought. This can be seen in his batting, where he tends to take up a more defensive approach. This can be seen in his captaincy as well. He tends to set up defensive fields and very rarely makes aggressive declarations. Cook, lately, has been more likely to settle for a draw than risk a victory, and this has seen a drought of wins under his belt. This new English team has players with a more aggressive approach and Cook’s instincts have proven to be counter-productive lately. This hugely talented English side requires a shake-up at the helm, and a new captaincy could very well bring the side back to winning ways.